Race Deck Harley Davidson Pattern Tiles, 12" x 12" x 1/2" Tiles Kits. Harley Davidson Race Deck Tiles have the Harley Davidson Logo. Great for parking a motorcycle on or cover your whole floor. Lead time: Most orders ship within 2-3 weeks. 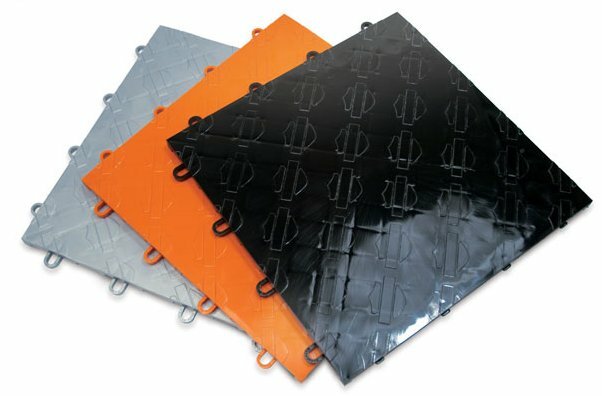 The Harley Davidson Tiles also interlocks with all other Race Deck styles offering the freedom to mix other patterns and colors to create a unique look. 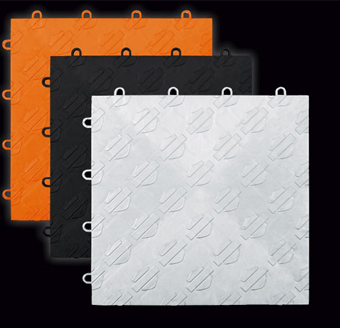 Available in Kits with Matte Finish, or the TuffShield High GlossNote: Edges in the TuffShield kits come with matte finish edges, high gloss edges are not available. Tiles are also available individually. 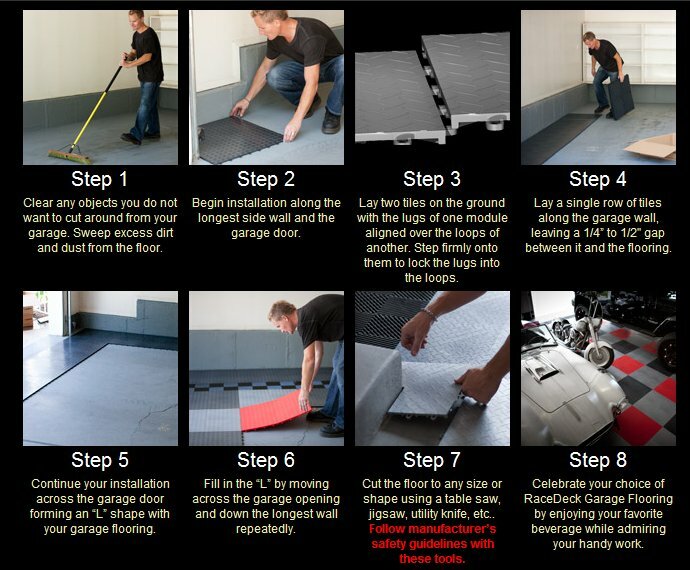 The best garage floor module in the industry. Harley Logo pattern offers great slip resistance and a high-tech look. The design is engineered to create a seamless look from module to module, allowing you to create virtually any size and any floor pattern. Optional edging gives floors a finished look. Easy to clean surface, resistant to petroleum products and most chemicals. Available with TuffShield High Gloss Finish. Interlocks with all RaceDeck® flooring products. Functions as one piece, making the system perfect for applications with big temperature swings. Supports rolling loads of over 80,000 pounds! This product is exactly what we were hoping for. Strong, durable and a great addition to our Harley garage!